The next Animal Issues Forum will be held on Tuesday, August 31 at City Hall during the lunch break, from 11:45 am to 1:15 pm. The forum will start with the showing of the film "Shelter", a short (17 minutes), locally-produced documentary about the City of Austin's efforts to become "No Kill" city. "Shelter" was filmed for a class at the University of Texas by Kelly Sloan (radio-television-film student) and Lauren Dooley (public policy student). The producers will be present at the screening and will participate in a discussion with Q&A after the film. 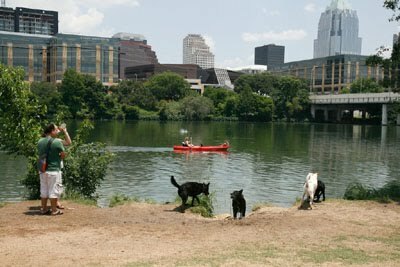 Rob Graham, a member of Austin's Animal Advisory Commission, will talk about what the AAC has already done and what it has planned to reach No Kill. Della Lindquist, an Emancipet volunteer, will talk about outreach efforts in Montopolis and other neighborhoods that have high numbers of homeless animals and her work with the City of Austin's Spay Street Program and that program's "neighborhood captains" including an effort to recruit Spanish speaking volunteers. Monica Hardy, the new Executive Director of the Texas Humane Legislative Network, will also be speaking about THLN's conference, September 24-26 in Austin, and her new duties as ED of THLN during the legislative session that starts in January 2011. Please forward to anyone who might be interested in attending. Thanks.